Zaha Hadid 1950-2016: Japanese architect Kengo Kuma has paid tribute to Zaha Hadid, who died suddenly yesterday, just months after the pair were at loggerheads over the controversial Tokyo 2020 Olympic stadium design. "Dame Zaha Hadid was a great architect who led the world of contemporary architecture after the era of Postmodernism," Kuma told Dezeen today. "She used the latest computer technology to the full and pioneered new formations of architecture." "To surpass her achievement is the challenge left to the next generation of architects following her – myself included." Kuma was part of a group of Japanese architects, including Fumihiko Maki, Toyo Ito, Sou Fujimoto and Riken Yamamoto, who protested against Hadid's Tokyo 2020 Olympic stadium project. Hadid's design was ditched by the Japanese authorities in July last year and a new version by Kuma was announced as its replacement in December. Hadid had won an international competition to design the stadium, but growing concerns over cost and local opposition had already led to it being scaled back and then branded a "disgrace" by Arata Isozaki – one of Japan's leading architects. 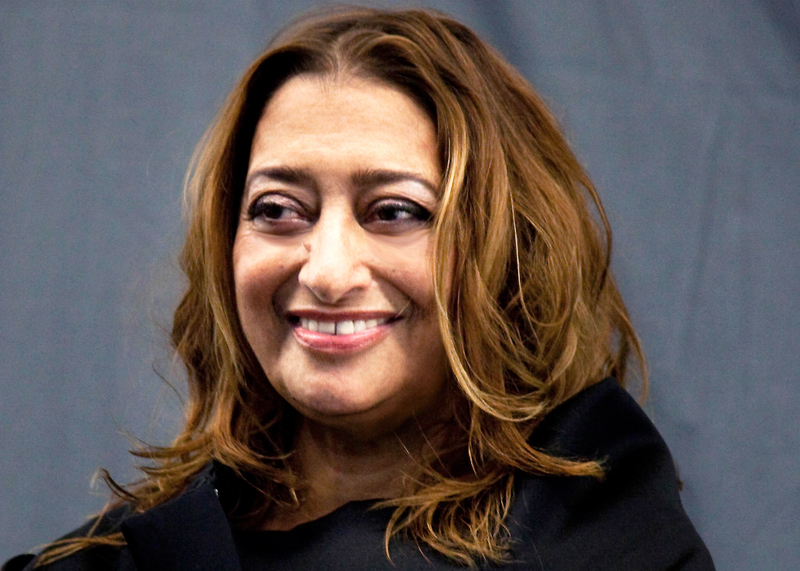 Zaha Hadid attacked the Japanese architects campaigning against her competition-winning proposal for being "hypocrites", accusing them of colluding with authorities to get the project scrapped. The late Pritzker Prize-winning architect also claimed Kuma's replacement proposal shared "remarkable similarities" to her own stadium design – a point strenuously denied by the Japanese architect. Hadid died yesterday following a sudden heart attack, prompting an outpouring of tributes from the global architecture community. "Devastated by the loss of a great architect and colleague today," said Daniel Libeskind. "Her spirit will live on in her work and studio. Our hearts go out." British architect Richard Rogers, who defended Hadid's Tokyo 2020 Olympic stadium design, told The Guardian newspaper that the news of her death was "really, really terrible". "Among architects emerging in the last few decades, no one had any more impact than she did. She fought her way through as a woman," he said. "I got involved with her first in Cardiff when the government threw her off the project in the most disgraceful way. She has had to fight every inch of the way. It is a great loss." The Iraqi-born architect was the first woman to be awarded the Pritzker Prize – architecture's equivalent to the Nobel Prize – in 2004, and the first woman to be awarded the RIBA's Royal Gold Medal in her own right. "I am devastated by the news of the loss of Zaha Hadid and cannot comprehend the enormity of her passing away," Norman Foster, the British architect whose firm is behind iconic buildings like the Gherkin in London, told Dezeen. "I became very close to her as a friend and colleague in parallel with my deep respect for her as an architect of immense stature and global significance." "I think it was Zaha's triumph to go beyond the beautiful graphic visions of her sculptural approach to architecture into reality that so upset some of her critics. She was an individual of great courage, conviction and tenacity."